I recently wrote one of the authors of a quilting blog that I love to read. I was asking for advice on how to actually sell my quilts. I felt a little sheepish - because I know that she has kids and is busy. But, I knew that she was good friends with one of my Aunts, and I knew that she was super nice. So I was brave and sent her the email. I think sending the email was hard, because it was admitting that my Etsy shop hasn't really seen much business, and I wanted help. Her response was so kind and loving. She said that she remembered what its like to be a young Mom and just want to be able to fund your own hobby (quilting is pretty expensive). She offered to throw an add on her site and then, (this part made me cry) she asked what my mailing address was, just in case she ever had some extra fabric she could send me. Wow! It made my day for three days - I kept thinking about it. It felt so good to be cared about, especially when I was afraid of coming off as just another annoying person. She didn't treat me that way - she was so kind and helped me feel like I mattered. It was then that I realized that I want to do that somehow with quilting - I wanted to be able to make people feel the way she had made me feel. I've always loved just giving quilts away best, but...I couldn't really fund that on my own. I thought of some families I know with very sick kids who suffer chronically. I thought it'd be so fun to make custom quilts for them - so they (and their parents) would feel like they mattered. I got to thinking...what if I asked my friends to donate just a dollar. If enough donated, I could start making the quilts. Well, it was a new scary thing for me - but I made up a blog for it and asked for donations. I'm about to finish my first quilt and I'm working on my second. So many people responded with donations that my husband and I were blown away. The fun thing is that the custom orders are helping me push my limits. The first quilt I did was for a little boy who loves athletics. I was inspired by Allison Harris' football to come up with a quilted soccer ball as well as a basketball. (I'll post the tutorials a little later). 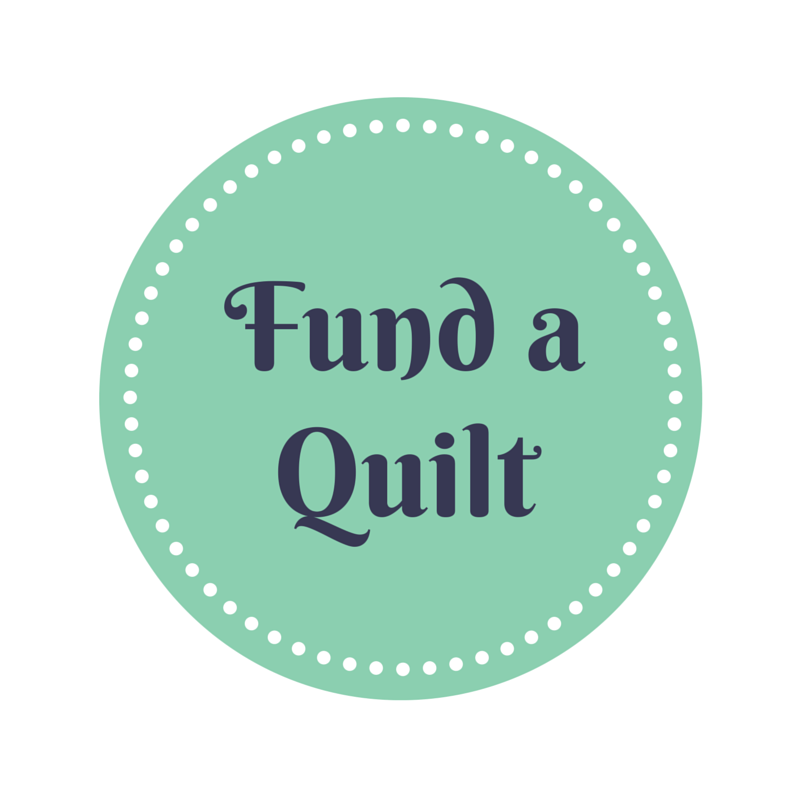 So, some of the things in my shop will have all the proceeds go to the Fund a Quilt project.